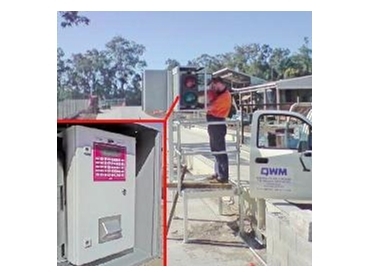 The QWM branch of Accuweigh has recently installed unattended weighbridge terminals at the JJ Richard’s plant at Stapylton in Brisbane’s south. Unattended weighbridge terminals are fitted at each end of the weighbridge to minimise time burden drivers to enter required details into the system. For OH&S compliance, the unattended weighbridge terminals are mounted on the driver access platforms next to the weighbridge for immediate driver access. These unattended weighbridges remove the need for the driver to access the busy roadway that operates twenty four hours a day. Accuweigh recently merged its Brisbane south branch with QWM’s Brisbane north operation for improved operating efficiencies for both branches.